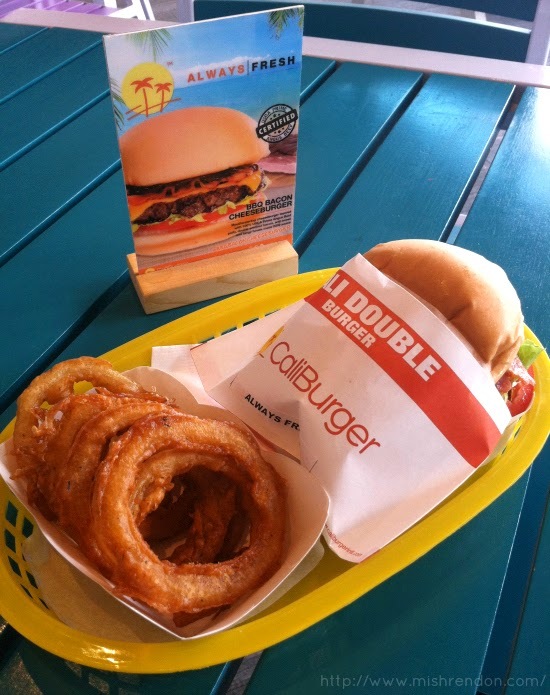 Caliburger Philippines, one of the newest and hippest food spot in Manila, introduced three new products this month. These are the BBQ Bacon Cheeseburger, Onion Rings, and Cali Sweet Wings. 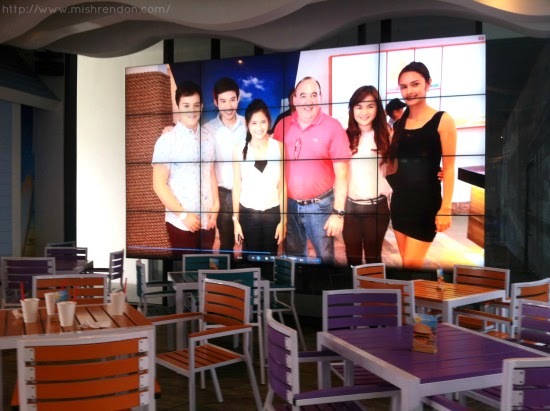 Luckily, we were invited to try these out at their Century City Mall branch in Makati. 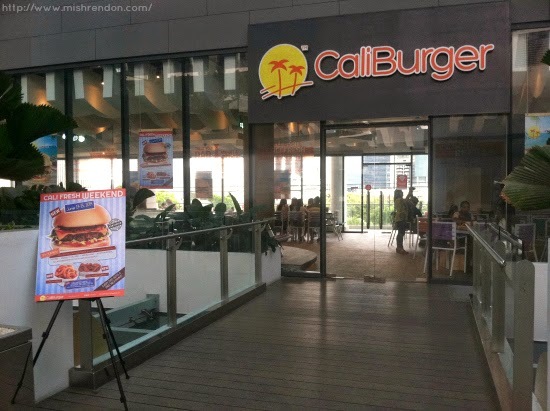 Although Caliburger just opened its doors last Febuary here in the Philippines, they have become a popular food trip destination among the youth. 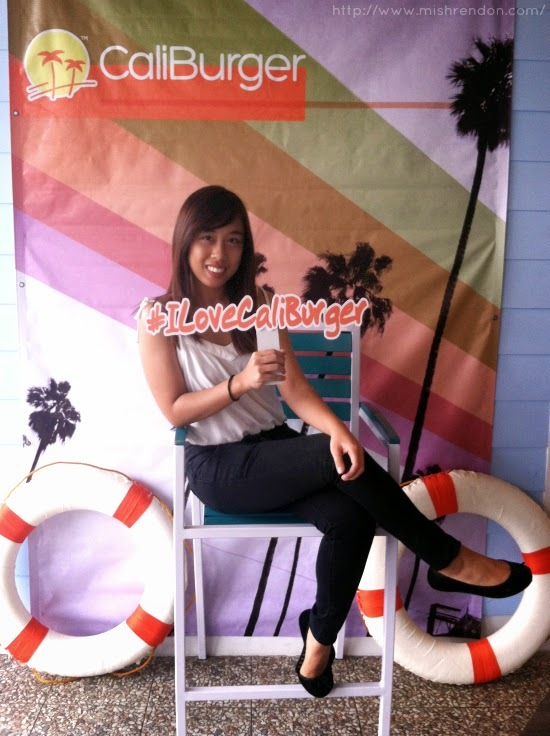 I guess it is the feel good vibes that one gets by just being inside a Caliburger joint. The benches and seats, the crew's get-up, and the design of the area itself, particularly the little details, remind me of the beach. Californian, indeed! Food at Caliburger is very limited. 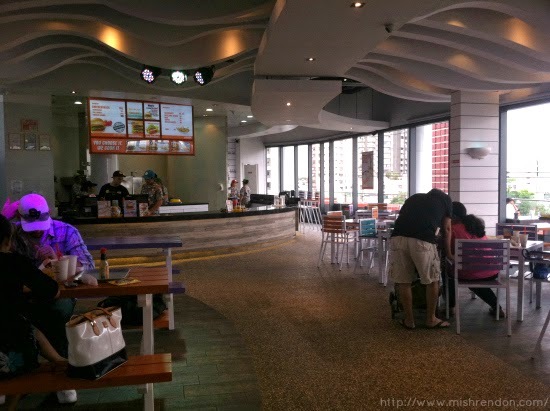 It's either you want to eat at Caliburger or not. But basing on the crowd when we went there, people still flock the area proving that it their dishes are definitely something! 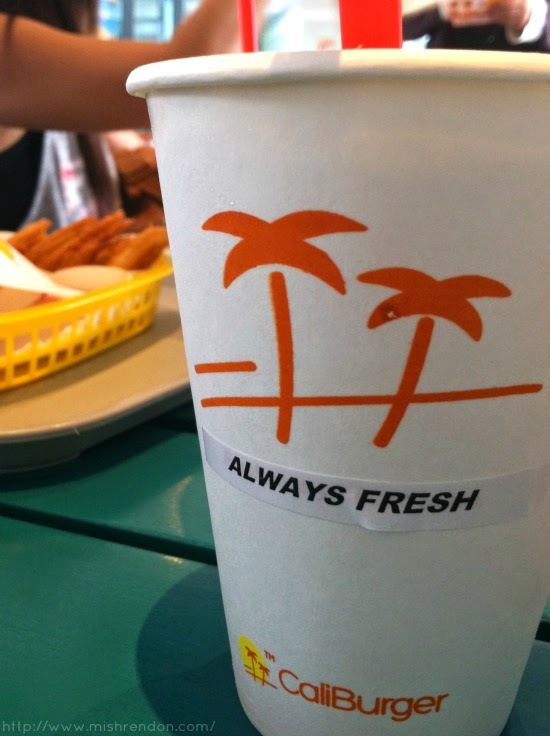 Of course, Caliburger believes that fresh tastes best. Their made-to-order meals are always prepared in open kitchens by experienced chefs who carefully monitor quality and adhere to strict standards for processing, cooking, and sanitation. These all add up to a difference you taste in their products. 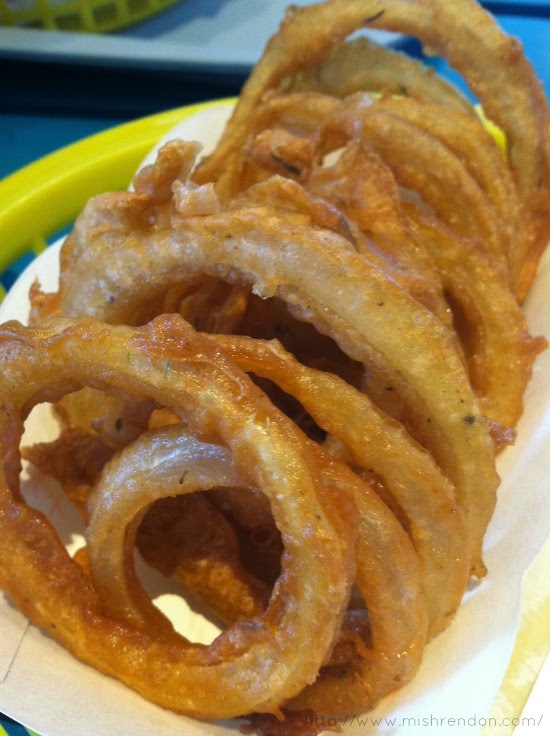 The Onion Rings, on the other hand, are hand-battered with a touch of thyme. I'd never eat fresh, uncooked onions my entire life, but I liked this one a lot. The onions were cut very thinly. Thus, it is more flavorful. The batter is very crispy while the onions remain soft and yummy! My favorite would definitely be their new Cali Sweet Wings! 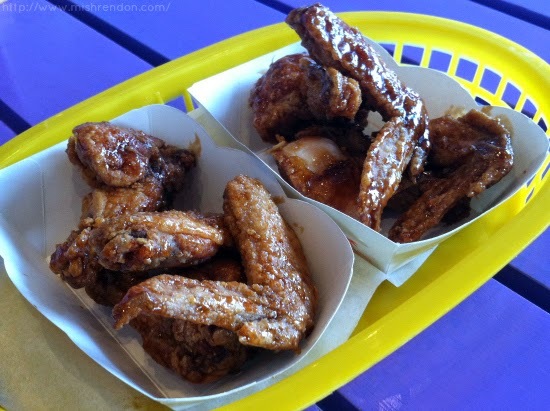 These are juicy chicken wings with soy honey glaze. They're best eaten when still hot. The chicken were just as tender as I expect it to be and the soy honey glaze won't let me stop eating. It's just that good! 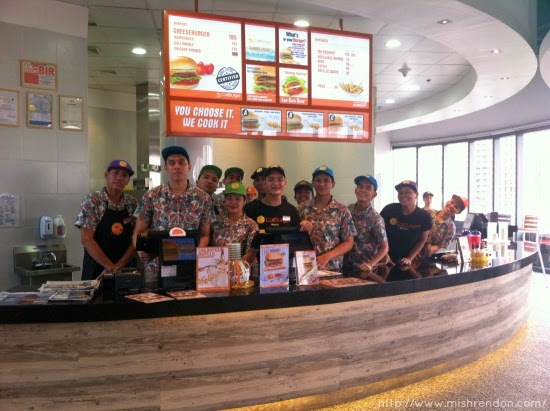 I have to commend Caliburger's staff though for being the most cheerful and the most accommodating bunch of people I have met. They were all smiles for the camera and were greeting everyone. They're just happy people sending good vibes to their customers. I am such a huge sucker for onion rings. And onion rings with thyme? OMG never had that infusion before but damn does it sound tasty! 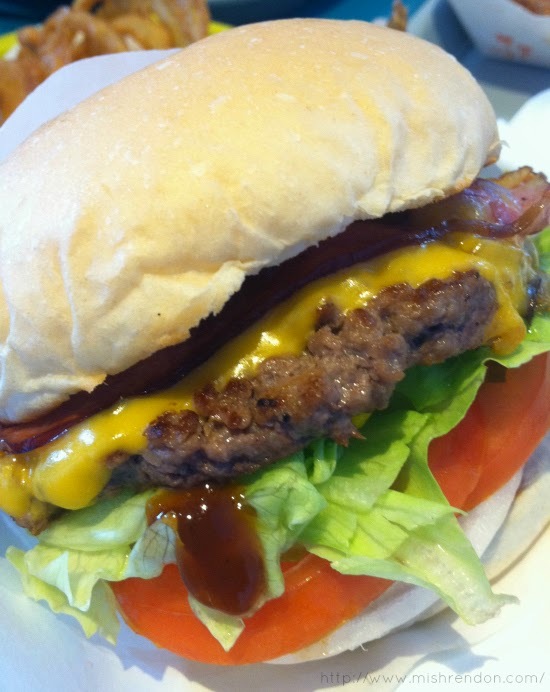 And that burger, seriously drooling!